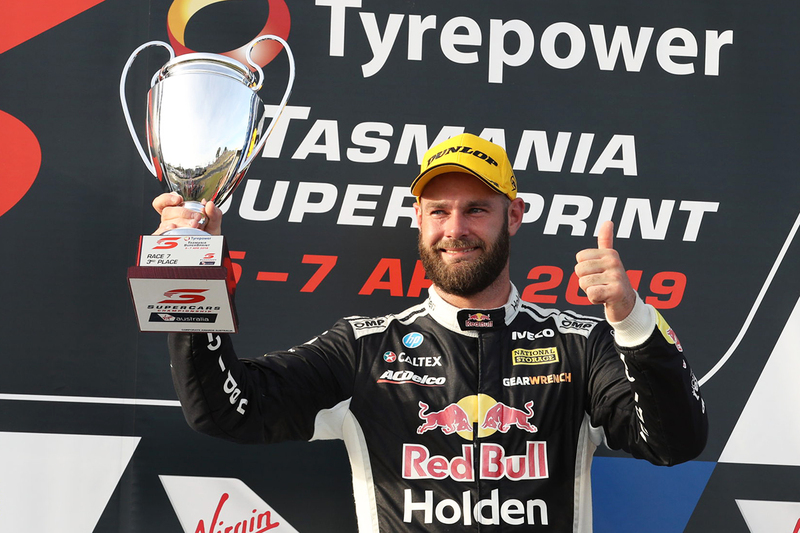 Shane van Gisbergen admits he felt 'like a burglar' after denying Mark Winterbottom a maiden IRWIN Racing podium in the Tyrepower Tasmania SuperSprint opener. Winterbottom ended a 1,000-day ARMOR ALL Pole drought on Saturday at Symmons Plains, in his third event with the Holden squad, but had to settle for fourth in the race. 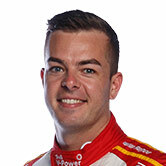 He slotted into second off the line behind eventual winner Scott McLaughlin then third behind the second Shell Ford of Fabian Coulthard during the pitstops. 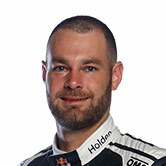 Van Gisbergen ultimately snatched the final podium place on the penultimate lap, having been the last driver to pit for tyres. 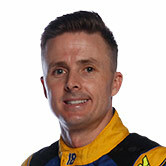 After emerging in sixth, he passed David Reynolds and James Courtney before closing in on Winterbottom. The Red Bull Holden Racing Team driver's cause was aided by Winterbottom losing time lapping wildcard runner Jack Smith with three laps remaining. 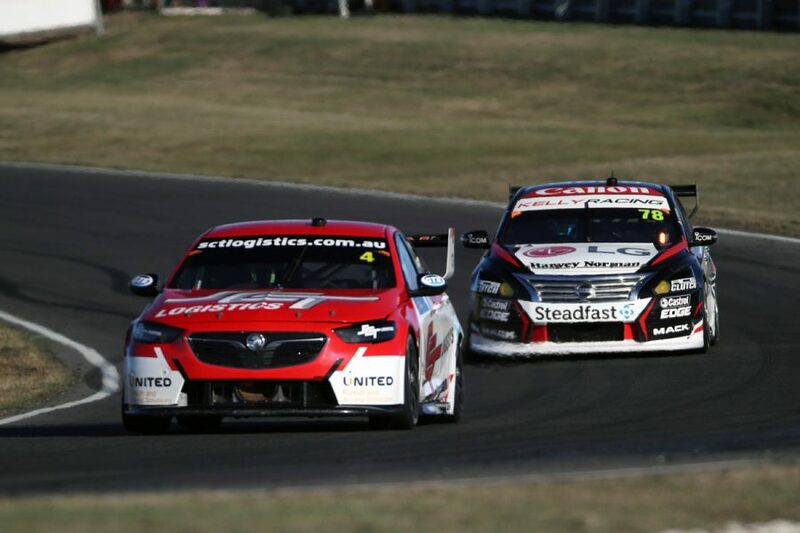 "Rubbish start, I mucked that up, but good race, I had some good battles with Dave there and then coming back through the field at the end," van Gisbergen said. 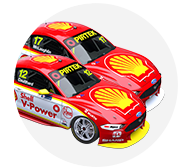 "I don’t know if we had the pace of these [DJR Team Penske] guys, well done to them, one-two and Kiwi one-two-three again, which is good. "I did feel like a burglar on the in-lap, but stoked for us. "When you come out of the pits they’re a long way in the distance, but obviously they had 10- or 15-lap older tyres. "I just tried to keep at a constant pace and not get greedy at the start, save the tyre. "When you’ve got a tyre advantage it’s a cool race track this, you can make some good passes." 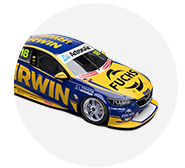 Fourth place for Winterbottom means the hunt for a podium for Charlie Schwerkolt's Team 18, established in 2013, continues. 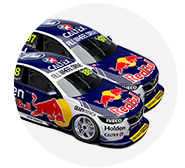 The 2015 champion lamented the time lost behind Smith while trying to keep van Gisbergen at bay. "I caught a wildcard guy and he didn't move out of the way, [there were] blue flags, I dropped a second on that lap and then I was vulnerable," he said. "I tried to defend, but I didn't have enough tyre grip. It's frustrating because I think we would've got a trophy then, but you can't control that sort of stuff. "All-in-all, you've got to look at the positives of the day, pole position was great. "We didn't have the tyre life on the front of the car, I had a lot of push, we're still learning. "It was an interesting race and the Penske cars were quick, we're probably next-best or thereabouts. "Good day, but I'm frustrated with a car that's not in the championship that cost you a chance at a podium, but it is what it is." On his way to victory, McLaughlin also appeared to lose time while lapping Smith, a Dunlop Super2 Series regular. He suggested the Brad Jones Racing youngster could have looked at the bigger picture in his Supercars debut. "He's allowed obviously to be in-front of me, [with] no blue flags," McLaughlin said. "I caught him a fair bit and I just thought, 'you know, just get out of the way man. It's just easier, get out of the way and make friends in your first race, rather than lose them'. "We all understand that you're allowed to race until you get a blue flag and then you've got to get out of the way. "It's just common sense, I come up on Jack Le Brocq, Garry Jacobson and a few of the other guys and they just pull out of the way. "It's something that he's probably going to learn."